A rolling camera bag is like having a portable studio on wheels. 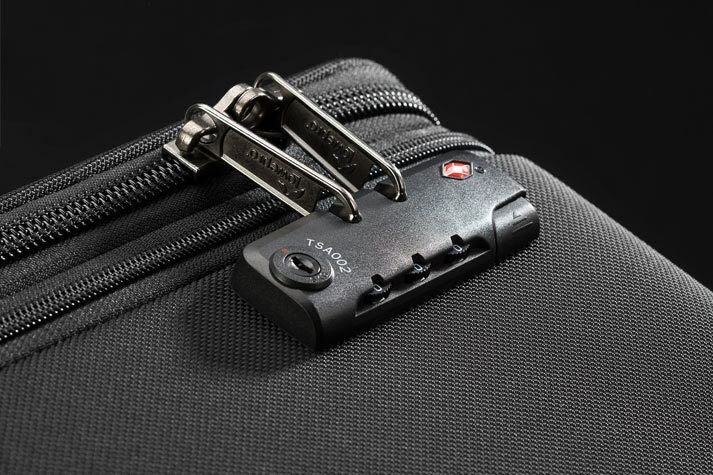 These ultimate travel companions have enormous carrying capacities, deliver protection and security to photographer's expensive gear and take heavy loads off your back. Here are some key considerations when choosing and traveling with a rolling camera bag. When traveling by air, it's important to keep your expensive gear with you at all times. Most domestic flights limit luggage to overall dimensions of less than 45 inches or 114.3 centimeters (length + width + height). Before flying with your camera gear, you should always check with your airline on their specific size and weight carry-on restrictions. Our newest rolling camera cases, the 4 wheel spinner PhotoStream SP 200 and two-wheeled PhotoStream RL 150 streamlined design give you peace of mind regardless of your aircraft. Weight also matters when carrying on your gear on an airplane. Weight restriction limits also vary by airlines and can range from 18 to 40+ pounds or 8.16 to 18.14 kilograms. Make sure the weight of your camera gear isn't an issue with a light camera rolling bag such as the Pro Roller x100 AW. Running late for a full flight? Have a "Plan-B" if rollers aren't allowed on your flight. 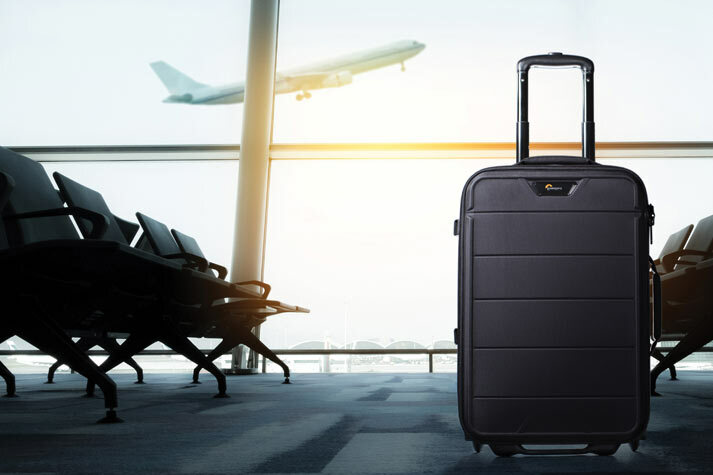 Even when your gear meets the carry-on and weight restrictions, there is always the possibility that a flight will be completely full and won't allow additional rolling bags onboard. In a case where an airline just won't allow any additional rolling bags on, Pro Roller camera bags come with a removable camera backpack that will allow you to remove your gear, carry on the backpack and check in the roller so you never have to leave your gear. Camera rolling bags such as the award winning Pro Roller x-Series AW have these removable inserts and give you peace of mind while traveling. Security locks can deter theft during travel and on location. Traveling in crowded airports or keeping your roller on location during a shoot can expose your gear to potential theft. Keep your gear secure in a rolling camera bag that has a built-in lock like the fully integrated version in the Pro Roller Series. 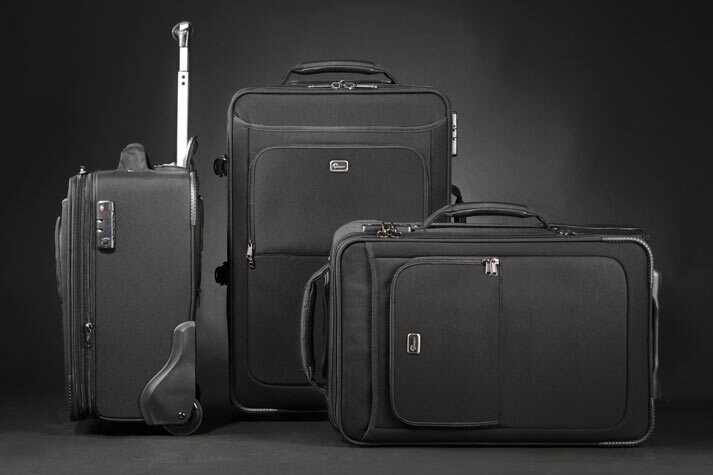 The locks on these bags are official Travel Sentry™ locks, which make traveling through airports effortless. Use the retractable cable to secure your gear when on location so you can focus on shooting. Get your heavy gear off your back and onto wheels. When you work on location, having your gear right at hand can be a lifesaver. A large capacity rolling camera bag such as the Pro Roller x300 AW will give you maximum carrying capacity with the mobility and ease of transportation of a rolling camera bag. Large rolling camera bags also support the carrying of large tripods and light stands turning your bag into a virtual mobile studio. More Flexibility? Try Pro Runner. A roller when you want it, a backpack when you need it! Location shoots often mean navigating crowded terminals, hotel lobbies, elevators, stairs and other obstacles to reach your shoot. To guarantee you can easily get your vital gear on-location, use the Pro Runner x450 AW, a high-capacity roller that also carries as a backpack. Choose a rolling bag built to our legendary standards. HighLine Series travel bags brings our attention to detail, best-in-class durability and protective design to travel bags and luggage. The HighLine RL x400 AW is a mid-sized rolling bag that is perfect for the adventurous traveler. While HighLine is not a dedicated camera bag, it pairs perfectly with the Whistler BP 450 AW. 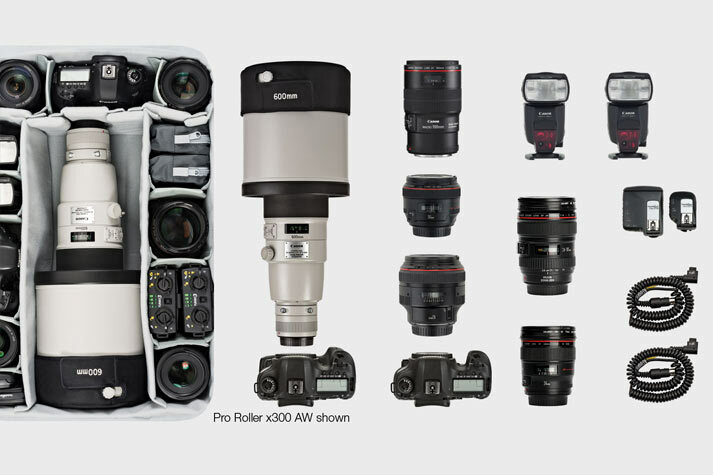 Read more about this ultimate travel combo on the Lowepro Blog.